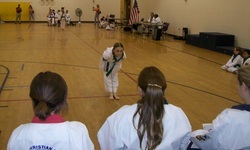 Students are encouraged, but not required, to compete. 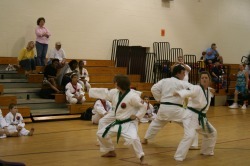 Family Martial Arts students will have the opportunity to compete in point-sparring and forms on a local, national, and international level. 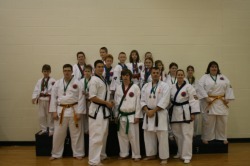 Competition is available for beginner to black belt, male and female, young to life-experienced. 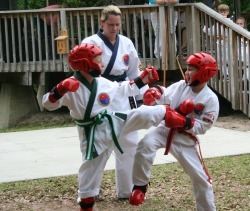 Demonstration point sparring at the Crawfish Festival 2010.
participate in Community Service projects, charity, and even mission trips abroad when offered by our parent school, Academy of Christian Martial Arts in Fayetteville, NC.